Please note DJ Rakesh Bollywood House Party occurred in past. Wassup Wassup Atlanta Party People ! 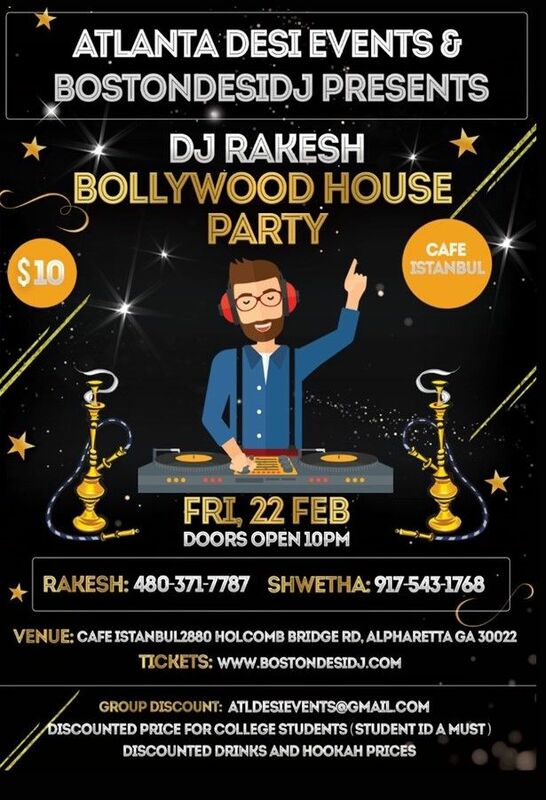 Atlanta Desi Events in collaboration with Bostondesidj Is Kicking Off their First ever Bollywood Dance Party. You haven't felt anything like this before, so do not miss this fun filled sold out event. Note: We provide all Indian (desi) events. 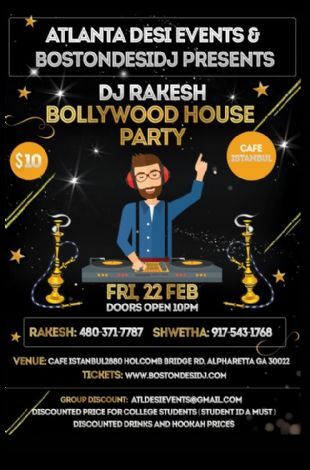 Your source of all the Desi Indian events happening in and around Atlanta. AtlantaIndian.com has tried it's best to provide accurate information, we request you to check our site for updates. AtlantaIndian.com is not responsible for any cancellations or changes in events.